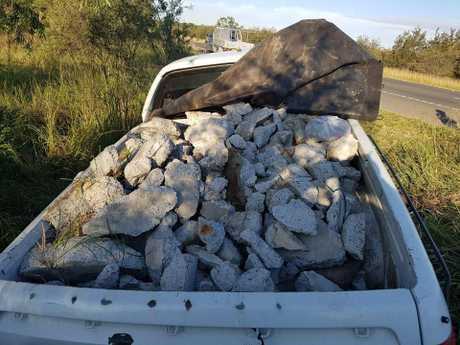 TRUCKS aren't the only vehicles targeted by police for being overloaded, with a number of utes caught exceeding their mass weight this week. 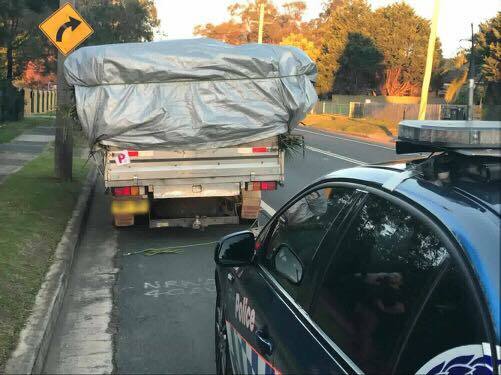 Tuesday afternoon police stopped a Holden Rodeo utility carrying what they have dubbed as a '#loadfail' outside of Illawarra NSW. According to police the ute was so overloaded that when the vehicle made a left hand turn it leant over dramatically. The 18 year old driver informed police that it was his vehicle and that he uses it for his tree lopping business. The load was mainly palm leaves and a trunk. The rear leaf springs had compressed beyond the horizontal and the bump stops were contacting the rear axle. RMS Inspectors attended and inspected the vehicle, conducting dimension and weight checks. 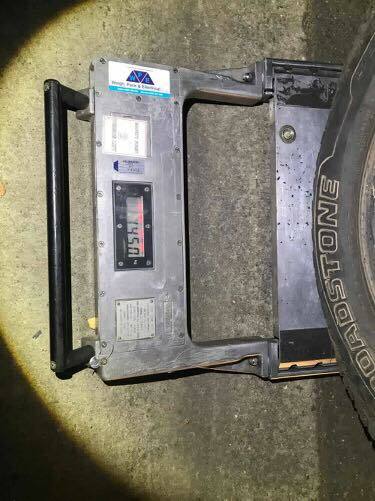 These checks revealed the vehicle exceeded the total Gross Vehicle Mass by nearly 800kg's, and exceeded the 2,500mm maximum width of a vehicle by more than 160mm. 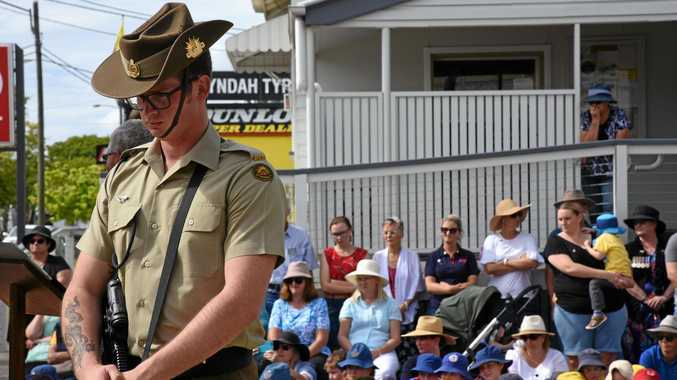 Other issues detected were the vehicle had no functioning reverse lights; no functioning number plate lights, and no tail or brake light functioning on the left rear. The driver was issued fines for exceeding mass limit, driving a vehicle which made a loan unsafe, and not complying with dimensions. The total amount of fines issued by police for the incident came to $1876. The vehicle was grounded and the owner instructed to remove the excess load into an alternate suitable vehicle. Monday afternoon NSW officers came across Holden Commodore utility off to the side of the road on the M4 Motorway, Minchinbury, west of Sydney. On inspection of the vehicle, the police found a large amount of concrete in the tray. The driver explained the concrete had been removed from a private residence in the Sydney suburb of St Clair and was being transported to Guildford before being disposed off. 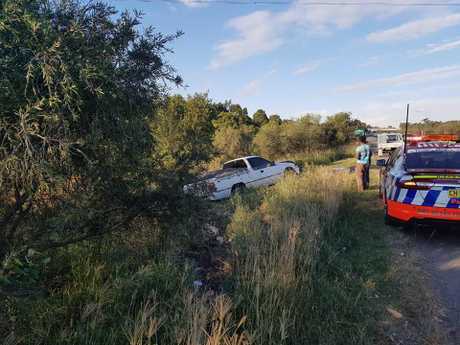 During the journey the ute ended up on the side of the road after the driver lost control of the vehicle while travelling at just 45kph on the Motorway. The vehicle was towed to Orchard Hills where RMS Heavy Vehicle Inspectors weighed the vehicle and its contents. The Gross Vehicle Mass of the vehicle is 2140kg, yet the vehicle and its contents weighed 3240kg. The vehicle was grounded for removal of excess weight to be organised. The driver was issued with infringements for negligent driving and driving a vehicle when overloaded.